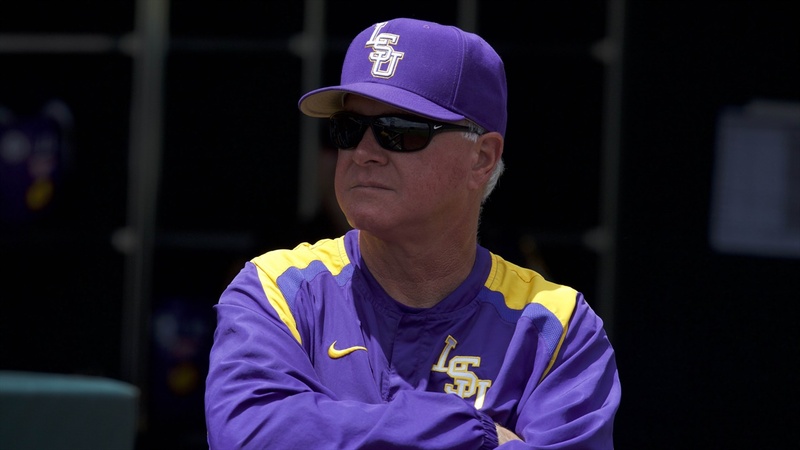 One week ago, LSU coach Paul Mainieri was concerned about two-thirds of his weekend rotation. Zack Hess was shut down due to a strained groin, while Eric Walker showed signs of tiring after about 20 pitches. However, the second week of preseason practice has brought good news as regards these two pitchers. Both Hess and Walker appear to be on their way to making starts on opening weekend. “Zack threw a bullpen Tuesday without incident,” Mainieri said. “He will throw Friday in the intrasquad scrimmage – probably 45 pitches or three innings. Assuming he feels fine, he will start against ULM. There is no way he will go more than five innings. I am not sure he will go that much. Ma’Khail Hilliard, who is recovering from an arm injury, pitched Wednesday night. Mainieri said that Hilliard was “better, but not as good as he can pitch.” Mainieri said that Hilliard “felt great.” Freshman Landon Marceaux is in line to start the Saturday game against Army. Both Henry and Hill will make midweek starts following the first weekend. Mainieri will keep one of those two pitchers as a midweek starter and will move the other one to the bullpen. Freshman Drew Bianco has the lead for the first base job – ahead of fellow freshmen Cade Beloso and C.J. Willis. The SEC coaches picked LSU to win the Western Division. However, Vanderbilt was the coaches’ choice to be the overall conference champion. Outfielders Antoine Duplantis and Daniel Cabrera were named to the coaches’ second-team preseason All-SEC squad. As regards the 2020 season, football signee Maurice Hampton will play baseball for the Tigers. Hampton is projected as a centerfielder. He could also be a high draft choice in June and never come to LSU.